Life has been a little busy over the last few weeks. 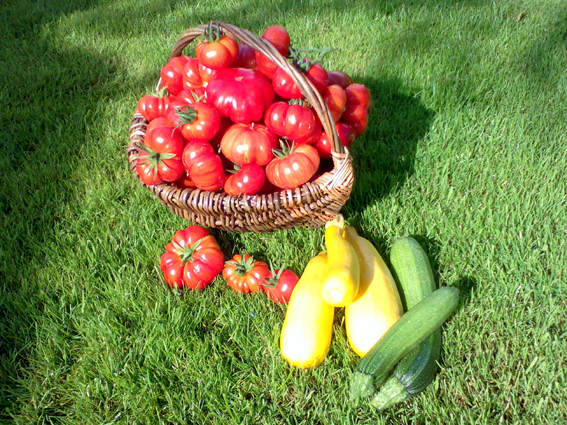 The vegetables and fruit have been growing faster than we can eat, freeze, store or make jam from. We are particularly pleased with the tomatoes. Having lost all of our 30 plus plants to tomato blight last year, this year we spent some time researching blight resistant varieties. We picked 10 of the best and haven’t had a problem with any. We have grown them in a variety of places from a polytunnel to a greenhouse and out in the open. Remembering just how much rain we have suffered this summer, it is amazing that they have shown not a single sign of blight. The results speak for themselves…N0w must go, I have a couple of buckets of runner beans in need of picking.